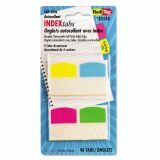 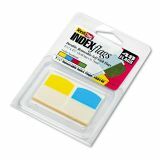 Redi-Tag Write-On Self-Stick Index Tabs, 1 1/16 Inch, 4 Colors, 48/Pack - Use as temporary indexes or flags on any size document or bound material. 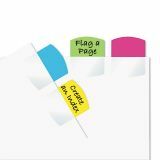 Easily reposition. 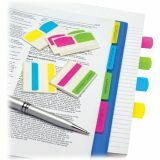 Clear, adhesive half will stick to where you need them, on documents, files, in your planner, text books, and more. 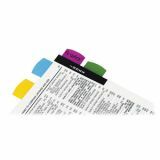 Remove when reference is no longer needed. 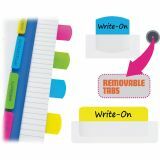 Write on color area with ballpoint pen, pencil or permanent marker. 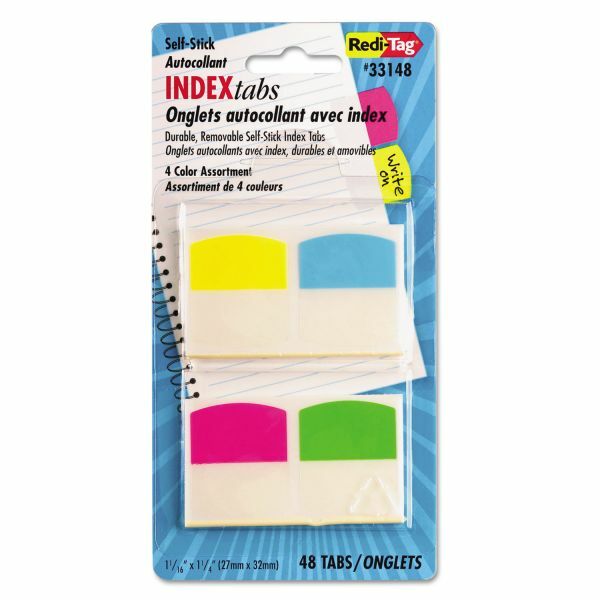 Assortment includes 12 tabs each of blue, yellow, magenta and green.